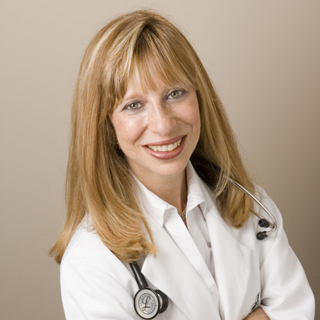 Beth Abramson MD is Associate Professor of Medicine at the U. of Toronto. She is the Paul Albrechtsen Professor in Cardiac Prevention and Women’s Health and director of the Cardiac Prevention and Rehabilitation Centre & Women’s Cardiovascular Health in the Division of Cardiology at St. Michael’s Hospital. After graduating from U. of Toronto medical school, Dr. Abramson trained in internal medicial in Toronto and completed a clinical cardiology fellowship at the Ottawa Heart Institute. She also completed a research fellowhip, during which she focused on evaluating issues related to women and heart disease. She has training in clinical epidemiology and a Masters of Health Administration. She holds fellowships in Internal Medicine from the ACP and the RCP in both Internal Medicine and Cardiology and is a Fellow of the American College of Cardiology. She is actively involved in writing guidelines to educate physicians on preventive cardiology issues. She was a primary member of the 2000 CCS Consensus Conference on Women and Ischemic Heart Disease. In 2005 she co-chaired the CCS Consensus Conference on Peripheral Arterial Disease. She has been involved in writing national guidelines on menopause in collaboration with the SGOC, published in 2009, updated in 2013. In 2014 she co-authored Canadian guidelines for the diagnosis and management of stable ischemic heart disease. She has been a member of the Heart and Stroke Foundation of Canada’s Health Policy and Promotion Committee (HPPAC). She was a founding member of the Heart Truth Leadership Council, which led a national awareness campaign for women and heart disease. She has an interest in gender equity. In 2010, she took a leadership role in the POWER Study addressing quality care in women. She is a member of the ACC Hypertension working group and has become involved in the North American Menopause Societys’ (NAMS) awareness efforts in recent years. She spends much time educating the public on heart health and is a national spokesperson for the Heart and Stroke Foundation. Her book, Heart Health for Canadians, was published in Feb. 2013 to help people prevent and understand the issues related to heart disease. In 2015 she was awarded the prestigious Harold N. Segal award of Merit, in recognition of her many contributions to preventing heart disease amongst Canadians.